A Divorce can be as simple as the parties want it to be, cost to the court generally runs around $334.00 dollars to file the paperwork, plus the cost of service on the individual by the sheriff, if needed. If it is a simple uncontested matter with out children and significant assets than I can accomplish a uncontested divorce for about $1500.00 dollars plus costs. If the matter is contested by the other party than it will cost more. Generally, most divorces cost a few thousand dollars. 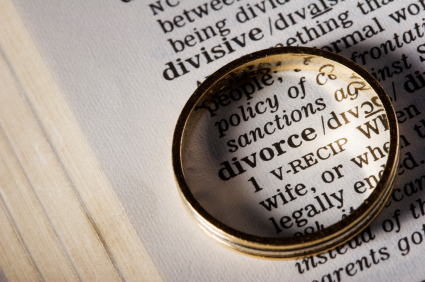 I am always shocked to hear someone come in and tell me their divorce cost 25,000.00 to 50,000.00 dollars. I try to resolve these cases as cost effectively as possible. Child Custody: Are you concerned about the best interest of your child? Do you beleive the child would be cared for in a more proper manner if under your care, direction, and, control. Historically, the court awarded custody of the minor children to a Mother. Today, the court seeks the best interest of the child and approachs such cases looking at both the mother and the father in a much more equal manner. The courts are likely to award custody of the child to either party. Especially, if the present custodial parent has proven themselves to be generally irresponsible or neglectful towards the child in some significant manner. Furthermore, if there is some abuse or neglect present you may be able to take immediate possession of the child until final determinations can be made by the court. Both parents have equal rights under the law today. Your relationship with your child is your right. Your child has a right to express his needs as well provided he/she is of age sufficient to do so. You can fight for your children. I will fight with you. The outcome will provide you with the peace of mind you need. The court will investigate your case and if the child is better off with you they will order it. If you need help, I am here to help you realize your goals. My approach in divorce cases is to counsel my clients towards amicable outcomes for their own peace of mind and pocket book. I also know there are times when a full hearing of their grievances is in order.The key with a divorce is not to win all the battles and lose the war. The key to a successful custody case or to gain custody in a divorce action is to impress upon the court that the child's needs will be better served under your care as a result of either neglect or abuse or general irresponsibility on the part of the other party, to name just a few of the more significant issues, along with and more importantly, establishing factually, you are better suited economically and emotionally to provide for the child's social, emotional, educational, and, physical needs. 773-294-2436 or 847-299-4756 - Toll Free - 800-261-4095.